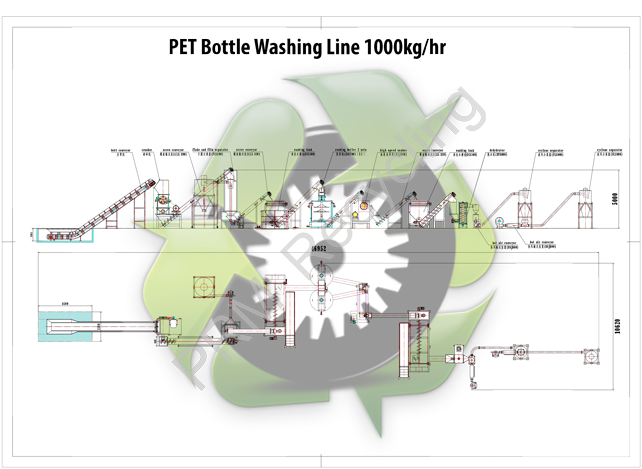 ASG Recycling’s PET bottle washing line is the ideal solution for your PET recycling needs. 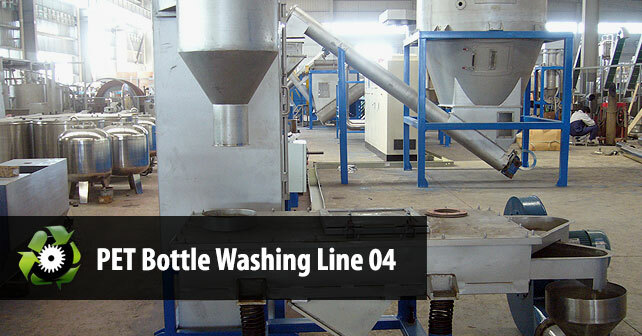 This fully automated washing line takes compacted bales of PET bottles and turns them into clean, contaminant-free PET flakes that can be used in producing polyester staple fiber or pelletized into granules for use in manufacturing other PET products. 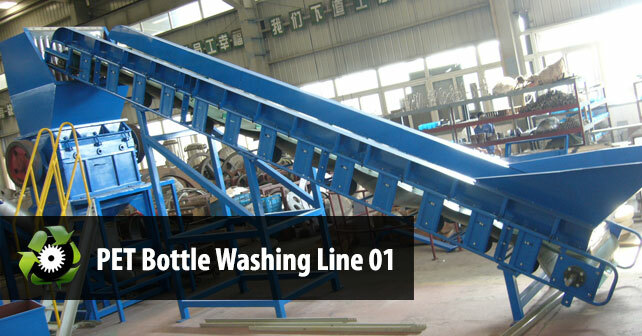 Debaler Machine: The first step in our PET washing line is to break the compacted bales of PET bottles into a free flowing stream. Once the bales are “busted”, the bottles will move onto the next machinery using a conveyor system. Trommel: An optional piece of equipment, the trommel is a slowing rotating tunnel lined with small holes. 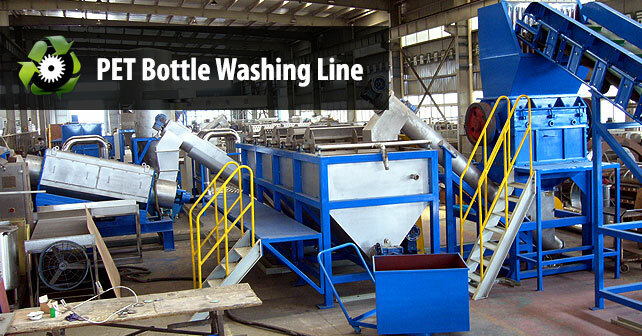 The holes are slightly smaller than PET bottles, therefore, small pieces of contamination (such as glass, metals, rocks/dirt, paper, etc…) will fall through while the PET bottles move onto the next piece of machinery. Learn more about our trommel. 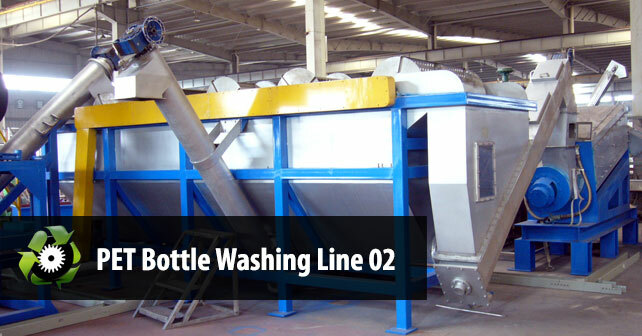 Wet Granulator: Often referred to as a “crusher”, our wet granulator cuts the PET bottles into flakes, or small pieces between 10-15mm in size. With water constantly sprayed into the cutting chamber, our wet granulation process also pre-treats and partially cleans the PET flakes before moving onto the next piece of equipment. Learn more about our wet granulator. Air Classifier: Air classification is a way to separate lighter materials from heavier ones. The main purpose of using the air classifier is to remove paper/cardboard contamination as well as plastic films from labels on the bottles. Learn more about our air classifier. Sink / float Separation Tank: Using water as a medium, materials that float are separated from materials that sink. In the case of PET recycling, PET plastic will sink while plastic films (bottle labels) and PP/PE plastic (the type of plastic used for bottle caps) will float. A screw conveyor at the bottom of the sink/float separation tank will move PET plastics to the next piece of equipment. Learn more about our sink / float separation tank. Hot Washer (boiler): Hot washed PET flakes are of higher value because this process dissolves glues (used to glue labels onto the bottles) and leftover beverages/foods that are difficult to remove in a cold wash process. Often times, additional chemicals and washing agents are added for better results. Learn more about our hot washer. Friction Washer: A efficient piece of cold water washing equipment, the friction washer uses friction as a mechanical way to remove any hard to remove dirt and debris from the PET flakes. Learn more about our friction washer. Dewatering Machine: The first step in the drying process, our dewatering machine uses centrifugal force to remove a large portion of water within the PET flakes before moving forward onto our thermal dryers. As thermal dryers require more energy consumption during operation, the use of the dewatering machine will help you save on energy cost in the long run. Learn more about our dewatering machine. Thermal Dryer + Cyclone Separator: PET flakes are vacuumed out of the dewatering machine where it’ll travel down a series of stainless steel tubes where the flakes will mix with hot air. The remaining moisture is dehydrated in this process which ends with a cyclone separator. The cyclone separator allow the PET flakes to mix with a fresh stream of cold air which prepares it for storage into the product silo. The cyclone separator is also effective in removing fines and such dust. Learn more about our thermal dryer and cyclone separator. Product Silo: A storage tank for the clean, dry PET flakes. 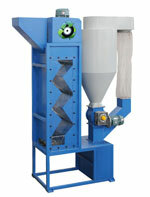 Pelletizer / Extruder: ASG Recycling offers both single-screw extruders and twin-screw extruders. Based on your requirements, we offer both one-stage and double-stage pelletizing setups where granules can be formed using a granulator or water-ring cutting. *Feel free to contact us if you have additional requirements. 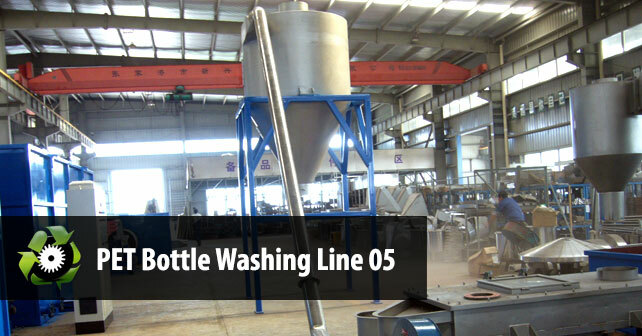 Depending on contaminants within the PET bottle bales, additional equipment maybe required such as a separation table for manual sorting, metal detectors and removal, PVC heat separation, and more. ASG offers custom tailored PET washing lines based on your specifications. Let us know your needs including capacity, type of PET bottles and how it is packaged, and types of contaminants you are expecting and let our professional team of engineers handle the rest. 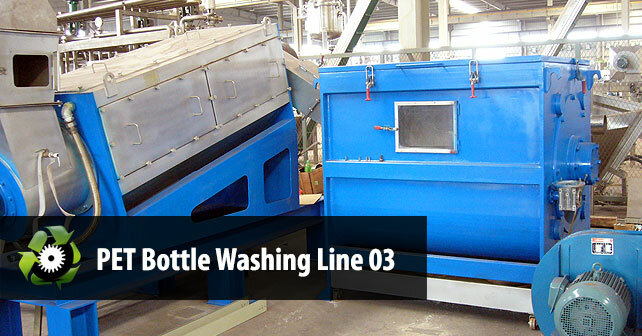 Below are some pictures of a washing plant we are manufacturing for a client in the United States. Contact us for additional pictures of various washing plants around the world that are using ASG’s equipment. 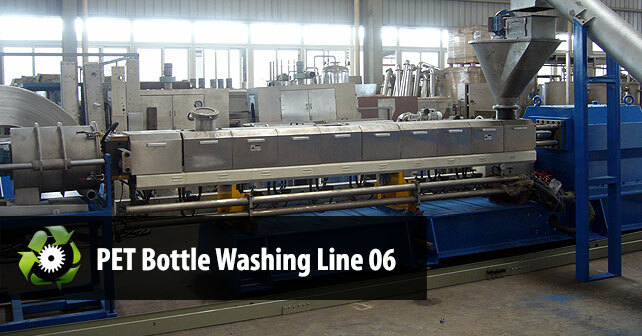 The entire PET bottle washing line is controlled via a central electric control panel and cabinet. Each piece of equipment is connected using conveyors. All products come with detailed operation instructions as well as an installation guide. A list of required replacement parts will also be provided. All ASG Recycling machinery are well documented and come with a 1 year limited warranty. ASG Recycling also offers an installation package where our engineers can travel to your facility and install the washing line for you. Routine maintenance teams as well as operations consultants can also be arranged to ensure your PET recycling plant runs smoothly year and year.